Coming to us from Mukinbudin WA, this 1st Grade White Quartz is a premium decorative stone with a rich white colour. 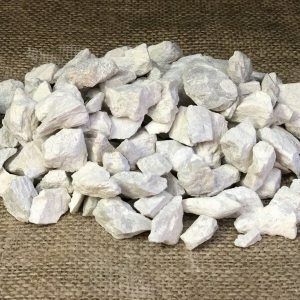 Used as a premium option in commercial landscaping applications and display home garden beds, along fence lines and in water features as a decorative stone. Ideally, weedmat should be placed prior to installation to prevent the aggregate mixing in with existing sand and to assist in controlling weeds. Usually installed around 100mm Depth, a great alternative to mulching as it does not degrade over time.